Hello, What wonderful work. I have been searching for phrases to use on prayer flags that I want to make for use around my house. I have not been able to find any. 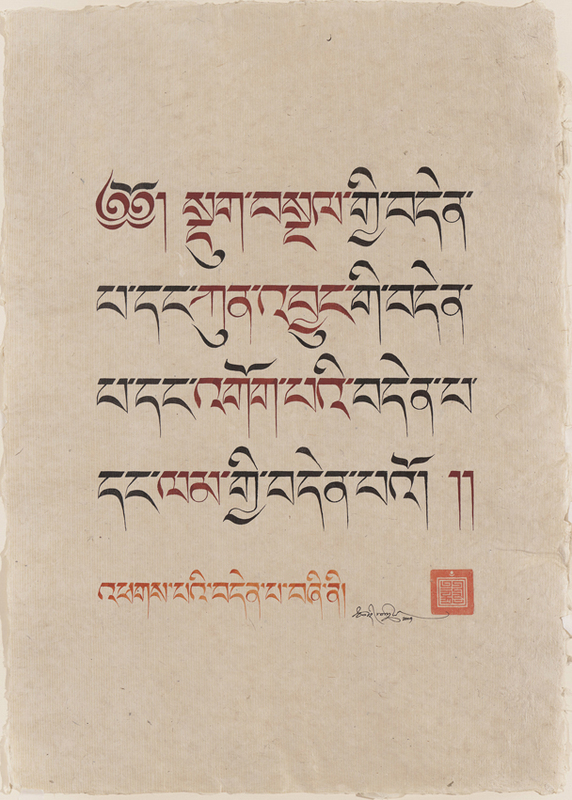 I have tried to copy some existing prayer flags, but the script is too small for my old eyes. 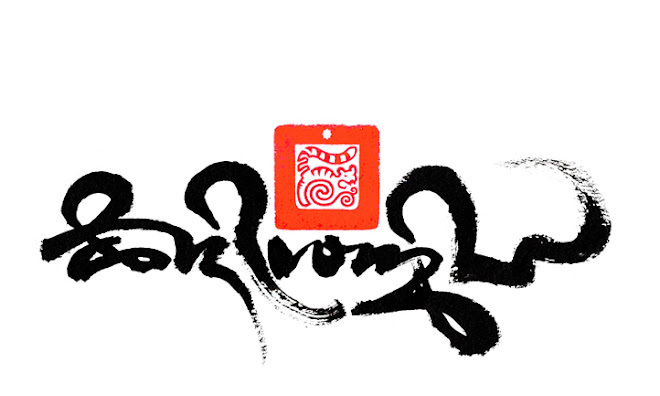 I am also not familiar with Tibetan script, so it's difficult to match the characters. Do you know of anyplace where I can get such a thing, either on print or electronically? My hope is create them electronically and then use them to print the flags. I would also make my work available on the web so others can use them. Thank you. Prayers for traditional prayer flags are quite specific, because of the old wood block prints they come from, agreeably, the clarity of the text is not easy on the eye, as charming and old as they may be. 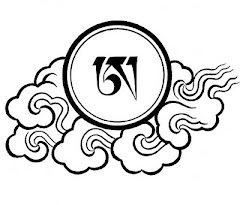 I do not know of one particular sauce for prayer flag prayers, i have copied old prayer flags in the past, but under the guidance of a Tibetan Lama who was able to decipher the more difficult parts of the text. So i fully appreciate the difficult task you are undertaking. There is however one book that i know of called 'Tibetan Tantric Charms and Amulets' which feature prayer flag text. 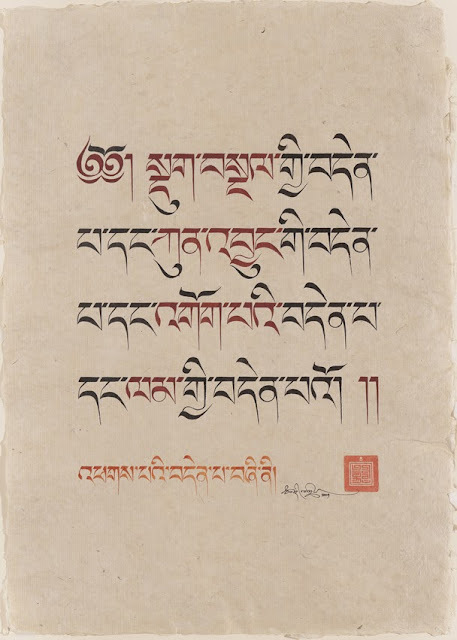 This is perhaps more helpful for the translation on each prayer, as yet some of the woodblock prints in the book are not so clear, though better than any actual prayer flags on cloth i have seen. I'm stunned by the beauty of what you've presented here. Thank you so very much. Excellent way to make a blog, I have not been able to find any. 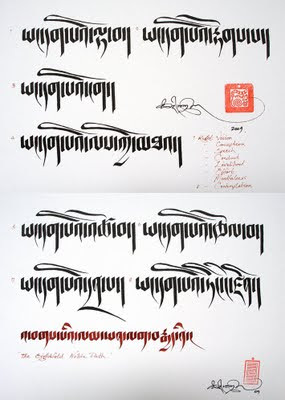 I have tried to copy some existing prayer flags, but the script is too small for my old eyes. I have searched on and off for over a year for resources/expert advice on topics covered here, trying to dig below the surface of the web/blog space's pseudo-traditional artwork and often incorrect advice. You have created something special here. The spirit in which you present your work seems to compare well with the messages in the pieces, and I have stopped my searching, feeling I have found a rare jewel on the side of the Internet. I must now formulate my request for your assistance, and am off to collect my materials. Thank you so much. I love Lanza script! So old looking. Is that "Mangalam" in 2 different scripts? Does it mean prosperity? Sorry, so many questions. Mangalam translates as 'auspicious'. 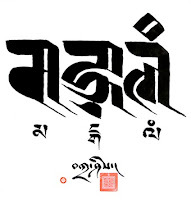 Here written in both Lantsa and Tibetan Uchen scripts. Hi ! 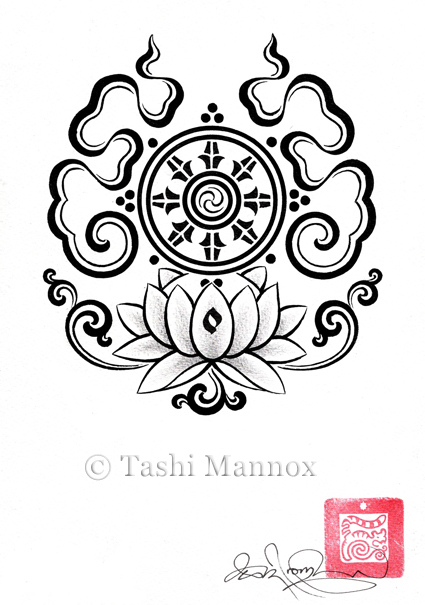 How do u think, can i use it as tattoo ? 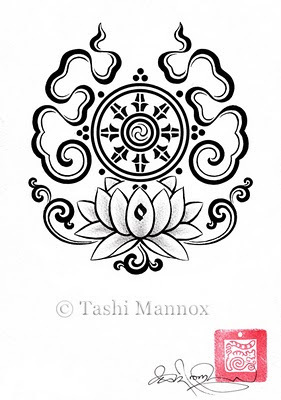 Hello.... there are four images in this post, which one do you wish for a tattoo design? Let me know so that i can find and provide at a high resolution image, as the poor low resolution quality of the image here will not provide enough sharp detail for a successful tattoo.